As we reported yesterday, hackers have cracked the Apple iPhone activation process. Its firmware was also leaked over the weekend, revealing the Apple iPhone wide open, laid bare. 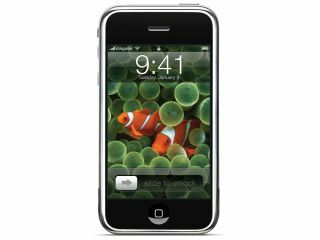 AT&T / Cingular has an exclusive deal for the Apple iPhone in the US for the next five years, so does this mean that T-Mobile and Vodafone are to be signed up in Europe? Some reports suggest the files could indicate which network operator is going to get the Apple iPhone deal in Europe. However, Apple could very easily update its firmware for the iPhone between now and the European launch, and change the files. Apple is likely to sign deals with multiple European carriers, picking the biggest one in each market as the operator for the Apple iPhone. Apple refused to comment on the files, or any other rumours relating to the Apple iPhone.